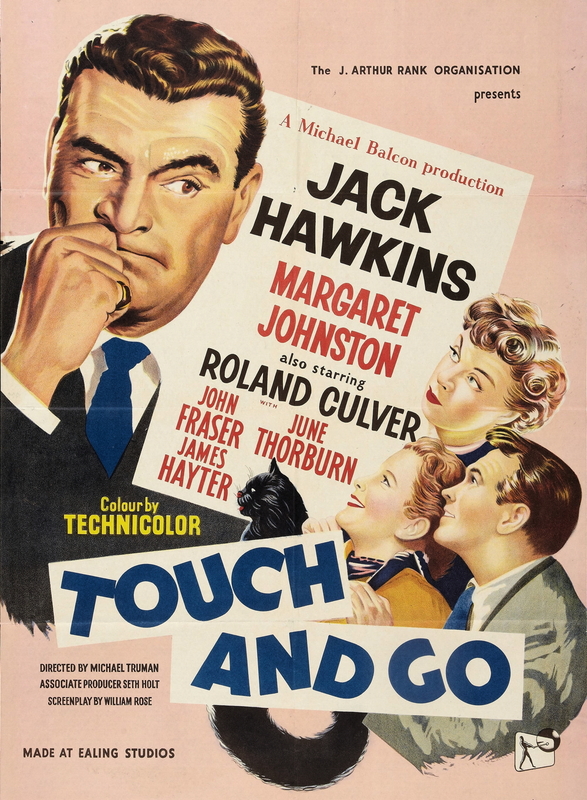 Touch and Go is an Ealing film I knew nothing about before I watched it on Talking Pictures TV, though most of the cast and crew were familiar. When I looked the title up in Charles Barr’s Ealing Studios book I discovered that it is one of the prime exhibits in his condemnation of the ‘End’ of Ealing in the 1950s. It’s hard to argue against Barr’s analysis of what the film represents in terms of a studio that appeared to have lost its way and indeed its purpose by 1955-6. 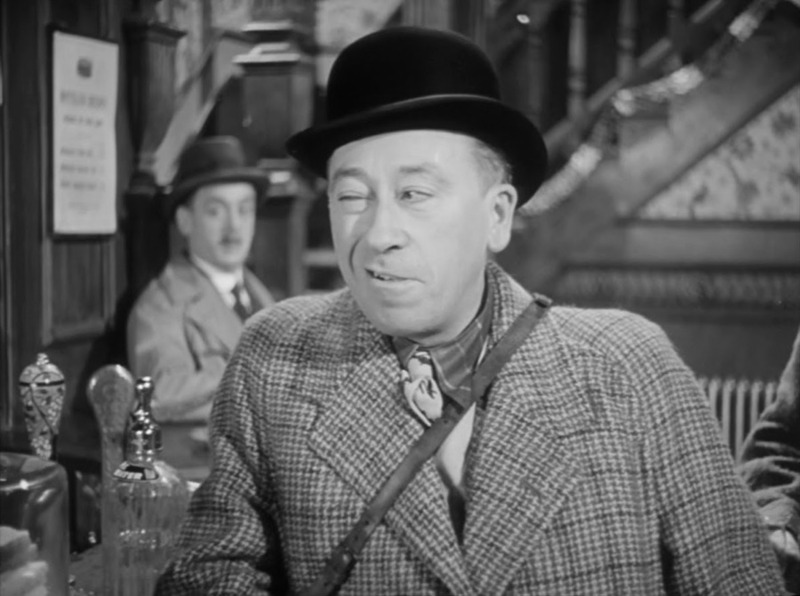 To emphasise his argument Barr contrasts the film with The Ladykillers, one of the few successful films from the same period. It’s a legitimate comparison in the sense that both films are shot in Technicolor and located in specific districts of London – and both were written by William Rose. But one has great vitality and a real cutting edge while the other is ‘suffocating’ and ‘stodgy’. My own preference is to try to find something of interest in everything I watch and Touch and Go reveals some aspects of British culture in the 1950s, even if the overall effect is indeed ‘deadening’. The film’s plot is very simple. Jim Fletcher (Jack Hawkins) is a furniture designer who stomps off from his job because the firm’s head man (James Hayter) refuses to consider expanding production of Jim’s modernist furniture. This is a classic Ealing set-up of traditional v. modern written by Ealing stalwart Rose from an idea conceived by himself and his wife Tania. 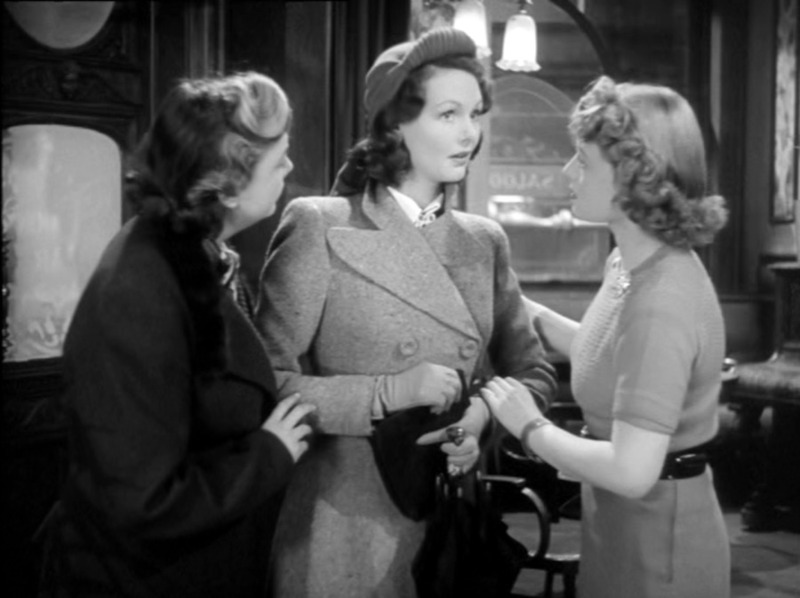 Jim decides that his family should emigrate to Australia – his wife Helen (Margaret Johnston) and 18 year-old daughter Peggy (June Thorburn) having little chance to object. The main section of the narrative then concerns the last few days before departure from Tilbury. The second ‘inciting incident’ is provoked by the family’s ageing black cat, a cunning brute named Heathcliff, who causes Peggy to meet a young engineering student Richard (John Fraser) and very quickly fall in love with time running out before ship sails. Will they actually get on board? Well, what do you think? Technically, there is little wrong with a film shot by the great Douglas Slocombe and though it may have been Michael Truman’s first directorial credit he had been an editor on many of the Ealing classics of the late 1940s and a producer on similarly well-known films in the early 1950s. This film is edited by Peter Tanner, also a very experienced Ealing hand. The cast too are fine with Hawkins turning his contrasting avuncular charm and rages towards domestic struggles and occasional comic interludes with his neighbour, Reg (Roland Culver). The plotting includes some important details such as Jim’s recognition that Richard will be facing National Service, a concept most audiences under 70 will probably have forgotten about. Richard also wants to be an engineer and seems enthusiastic about something that was once a British strength. By contrast, the script does nothing with Jim’s designer skills, his role as a designer is a plot point and not much else. Heathcliff is actually the most interesting character. Richard (John Fraser) and Peggy (June Thorburn) fall quickly for each other, but their passion is represented by a meeting in an ice cream parlour. The film’s setting is the Fletcher home in a Chelsea house with a basement kitchen. The house is part of a studio set with a pub handy across the road. It’s very quiet and Jim and Reg can stand in the middle of the road in the late evening, drunkenly talking and larking about. A few yards from the set is the ‘real’ London of the Albert Bridge and the Embankment – which is actually quite well-used as the setting for the romance. 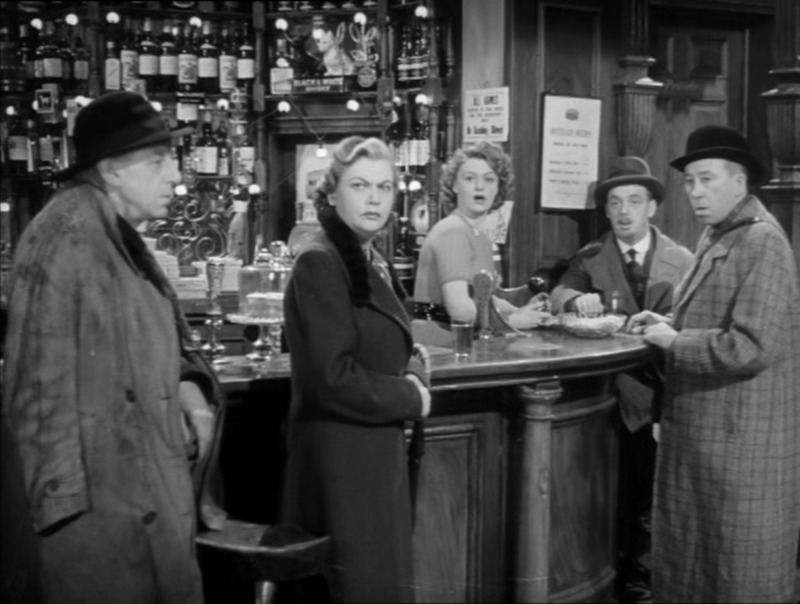 Barr’s comparison with The Ladykillers is valid, but the more revealing comparison is with John Ford’s Gideon’s Day (UK 1958). This odd excursion for Ford is a mix of police procedural and family melodrama, filmed in Technicolor with Hawkins as Inspector Gideon and also paterfamilias with a lively daughter played with pizzaz by Anna Massey, a music student who becomes involved with a bright young police constable. Ironically, Ford’s film was co-scripted by the Ealing writer ‘Tibby’ Clarke (writer of Passport to Pimlico and The Lavender Hill Mob). The script is full of comic moments amongst some rather grisly crime stories. My focus in the comparison with Touch and Go is the contrasting characterisation of the daughters. 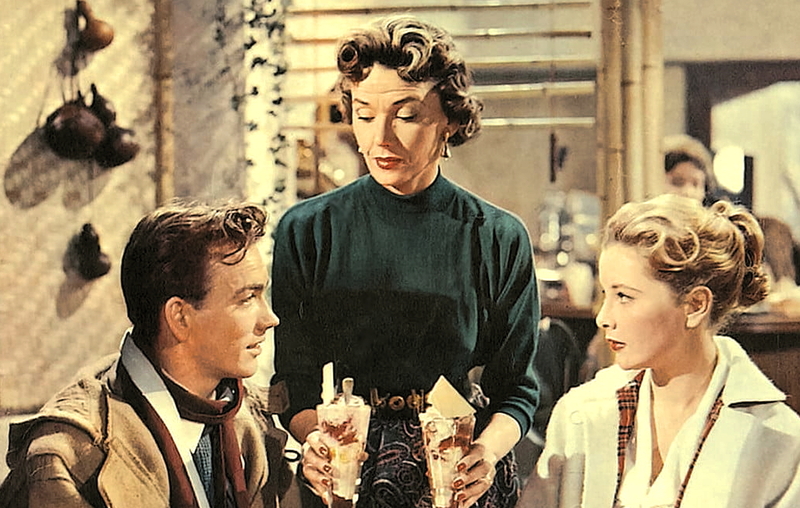 June Thorburn as Peggy is lovely and convincing in her role but she seems a young 18 (she was actually 24) and the script has her attending what appears to be a secretarial school for middle-class girls. The mothers in these films seem to be stay at home housewives even though their children are independent young women. Anna Massey’s music student has the banter of an arts student and the drive and the wit. Peggy looks beautiful on the dancefloor in her rather formal gown, even though the music is trad jazz with a trumpet solo played by Richard’s fellow student. Bill Rose’s script is so timid that the potential in the characters rarely develops into anything. Charles Barr makes the point that the Ealing films in his ‘End’ phase seem almost primed to become TV sitcoms, soaps and dramas. At the end of 1955 the Ealing Studios lot was actually sold to the BBC and, breaking with Rank, Ealing moved to the MGM British lot in Borehamwood in 1957. 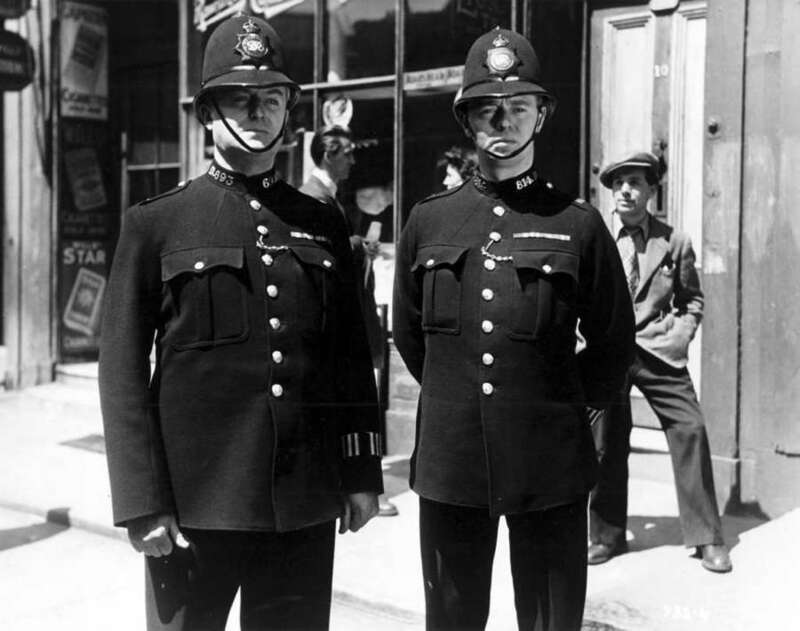 The Ealing site would now become the production centre for ‘cop shows’. Jack Hawkins made The Long Arm for Ealing in 1956, a ‘police procedural’ film in some ways looking forward to Z-Cars on TV. Pat Jackson’s Ealing film about nurses in training, The Feminine Touch (1956) could also be seen as the precursor for hospital soaps. Following ITV’s Emergency Ward 10 (1957-67), the BBC created Angels (1975-83) focusing on student nurses. The potential of Touch and Go to tap into the migration narrative of the post-war period seems to have been deliberately ignored and this seems strange given Ealing’s ventures into Australian productions. Between 1945 and 1972, Australia funded an assisted passage scheme whereby migrants could travel to Australia from the UK for just £10. This was part of the ‘White Australia’ policy and was also linked to the movement of children in care, the focus of Jim Loach’s Oranges and Sunshine (UK-Aus 2010). Alongside these dubious policies, Australia also encouraged migration from Ireland and several other European countries. Michael Powell eventually made a film about an Italian migrant, They’re a Weird Mob (1962). I do wonder why Ealing chose to develop drama/action pictures in Australia rather than comedies, especially in 1955? The comedy Geordie (UK 1955) in which Bill Travers plays a Scottish highlander who competes in the Olympics at Melbourne in 1956 attempted to make use of the interest in the games. But perhaps by this stage, Ealing was unprepared to do anything too different? (Ironically Margaret Johnston was born in Australia – and June Thorburn in Karachi). Touch and Go is at best gentle comedy. I laughed out loud just the once. 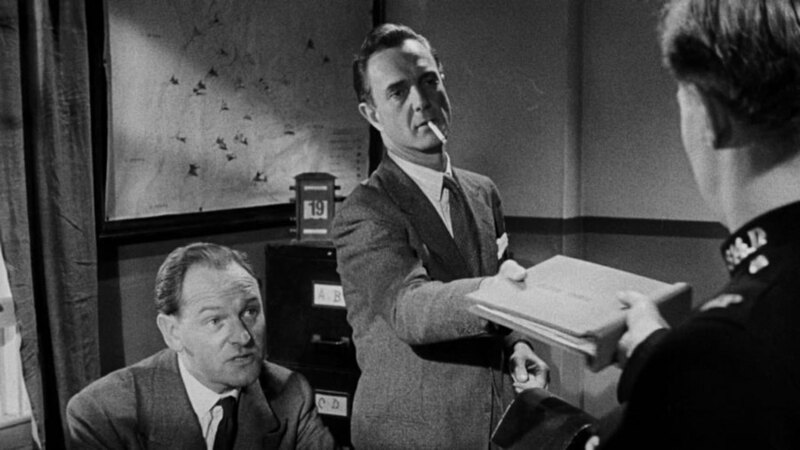 For Those in Peril is perhaps the best example of the Ealing Studios wartime propaganda film. It’s a very short feature at 64 mins, just long enough to appear in a double bill as a B feature and, although featuring serving armed forces personnel, it does have two well-known professional actors in the lead roles so the film mixes documentary and feature film elements. The main purpose of the film is seemingly to introduce audiences to a little-known role for the RAF, working in collaboration with the Royal Navy. The outcome of the fictional narrative is, however, more problematic and not an obvious choice for a propaganda film. 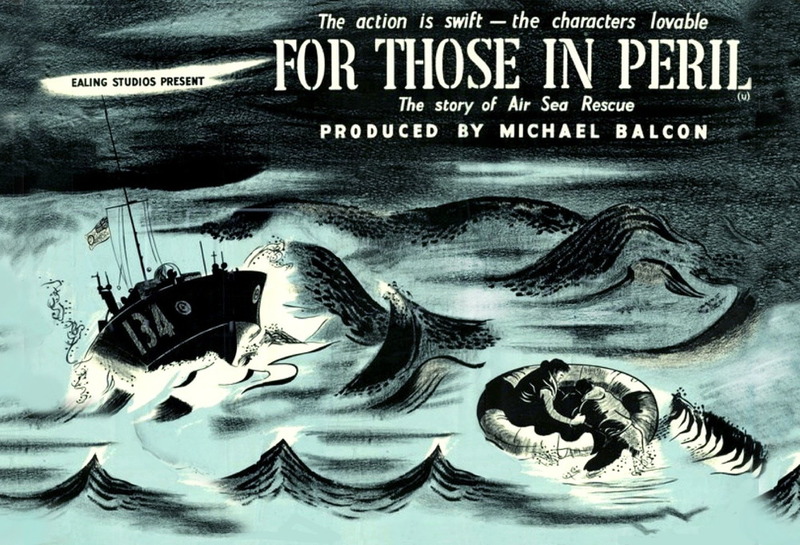 The film’s title immediately refers to the possibility of lives lost a sea, but in this case of aircrew rather than sailors. The RAF in wartime was supplied with high speed launches (HSL) designed to find aircrew forced to ditch their planes over water. (The film’s opening sequence carefully explains why this was necessary.) The establishment of these units led to friendly rivalry with RN units who had bigger boats with more firepower but slower speeds. 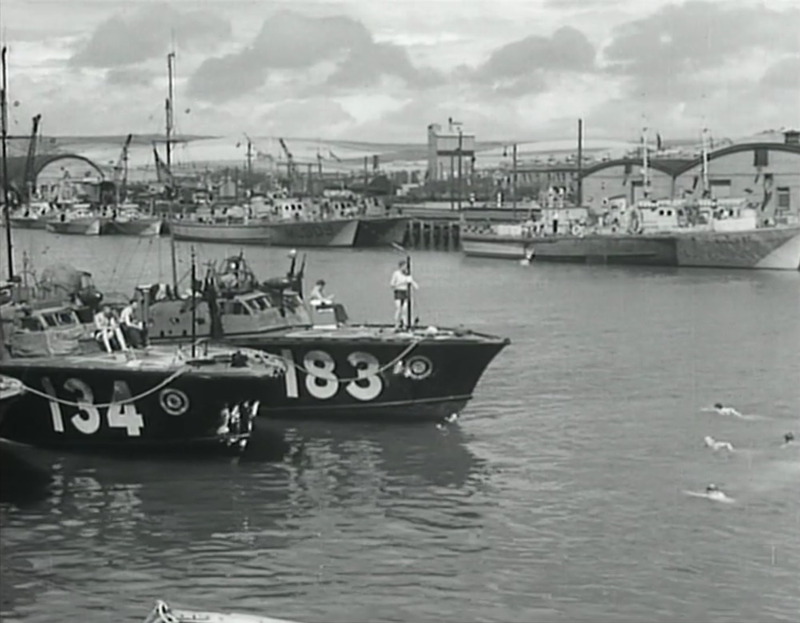 The film’s location seems to be Shoreham – although for obvious reasons this isn’t signified. 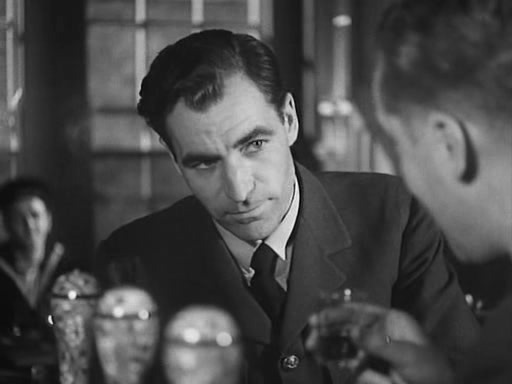 David Farrar plays the F/Lt Murray, RAF officer in command of three launches and the fictional narrative involves the arrival of Pilot Officer Rawlings (Ralph Michael – an established actor and serving airman) who sees his posting as possibly ‘beneath’ him since he insists he should be flying. 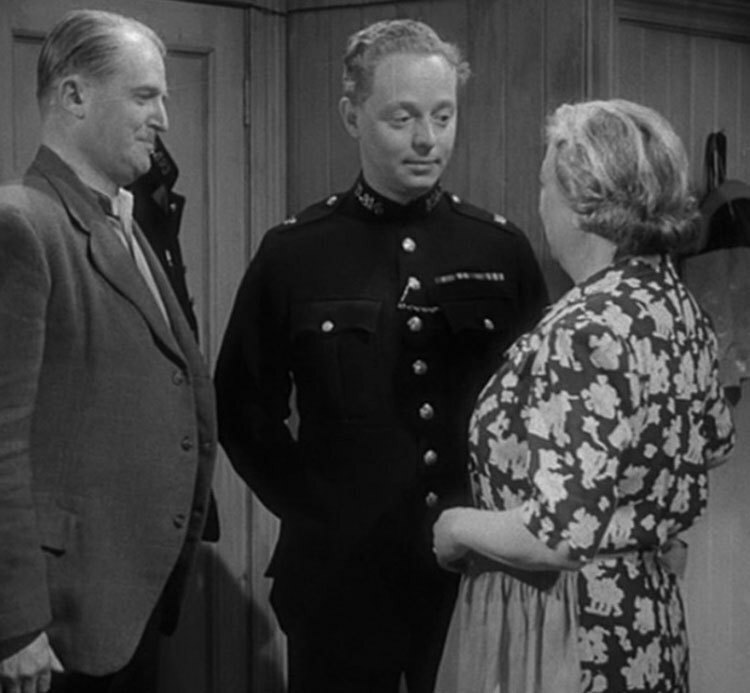 Murray is an experienced master of small boats since before the war and he tries to gently turn Rawlings’ truculence into something more positive – and gives the junior officer some harsher words when necessary. After a few exercises involving the launches joining naval craft, the film’s action sequences begin with an RAF Boston bomber being shot down over the channel. The three crew manage to launch their inflatable dinghy and their position is notified to air-sea rescue. Murray takes two launches and the larger (and slower) naval vessel follows. A Walrus seaplane is also launched. Three problems face the rescuers – thick fog, the presence of an armed German trawler and the minefield which the aircrew and their dinghy have entered. The intriguing aspect of the narrative is its potential propaganda. The central narrative involves Rawlings and his development in a moment of crisis so that he can take command when needed with the support of his crew (who are capable and have been well led by Murray). The other propaganda message is that aircrew are not abandoned and all possible effort is expended to save them. But more problematic is the action in the film which sees an eventual ‘victory’ for British forces, but at significant cost in terms of lives lost alongside a valuable ship and aircraft. More lives are lost than saved. This is the dilemma for propaganda filmmakers in their attempt to use realism in their appeal to audiences. Men are brave and they die in the service of their country. Unfortunately, there is little direct evidence of what audiences made of a film like Those in Peril (or any details of its distribution and how many people saw it). For me, the film works because of three factors – the documentary footage, David Farrar’s central performance and the script by Richard Hillary and Harry Watt, J.c. Orton and T. E. B. Clarke. The documentary photography is by Douglas Slocombe. This was his first credited role as cinematographer and he would go on to be one of the most celebrated figures behind the camera in British cinema history. 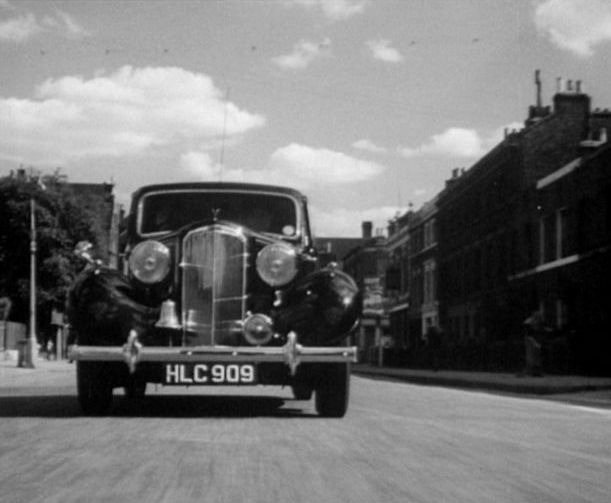 The interiors were shot by Ernest Palmer, an experienced Ealing man. David Farrar would go on to become a leading man in three classic Powell and Pressburger films as well as two more for Ealing. For Those in Peril was perhaps his breakthrough as a leading man, but his popularity (he later claimed several hundred fan letters each week) was mainly a result of his two Sexton Blake films in 1945. Also making his first solo outing for Ealing was director Charles Crichton as director. Crichton would go on to become one of Ealing’s most important directors and was probably best known for The Lavender Hill Mob (1951) and The Titchfield Thunderbolt (1953). Richard Hillary, who wrote the original story, was a young RAF officer who first fought in the Battle of Britain aged 21. He was credited with 5 definite ‘kills’ but was then shot down and rescued by the Margate lifeboat, having suffered severe burns. During his lengthy hospital treatment he wrote one of the best books about wartime flying, The Last Enemy, which I remember reading as a child. He returned to flying but only a few months later he was killed in a nightfighter crash. His story for Those in Peril was presumably based on his own experience. The contributions of key personnel such as Farrar, Slocombe and Crichton make this a must-see film for anyone interested in Ealing Studios. I recommend it as worth 64 minutes of anyone’s time. The military catastrophe that saw the British Expeditionary Force (BEF) and a significant part of the French Army trapped by German forces in a pocket around the port of Dunkirk in late May/early June of 1940 was turned into a propaganda victory with the successful evacuation of 338,000 British, French and other Allied troops taken off the beaches and brought back to the UK. Military historians still debate the reasons why the German forces failed to destroy/capture the Allied troops before they could leave. All the equipment, including military vehicles taken to France by the BEF was lost. In addition, many of the French troops rescued at Dunkirk were later returned to France to fight for the remainder of their country and were subsequently taken prisoner after France fell. More than 30,000 French troops in the ‘rearguard’ at Dunkirk were captured. 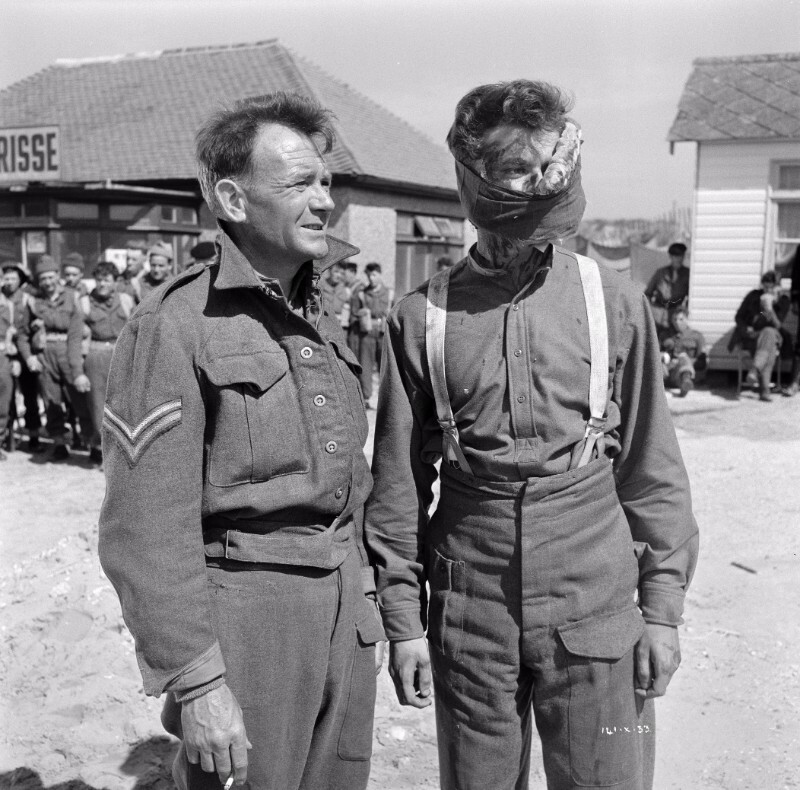 Dunkirk was a defeat – virtually all Allied operations up to El Alamein in 1942 were defeats. The propaganda victory which established the ‘Dunkirk Spirit’ was based on the contribution of the ‘Little Ships’ – the civilian boats that augmented the Royal Navy vessels in the evacuation fleet. Here was the image of ‘total war’ and of the British people with their backs to the wall. As I noted in an earlier posting on the recent British film Their Finest (2016), Dunkirk was not an appropriate film for propaganda purposes (i.e. 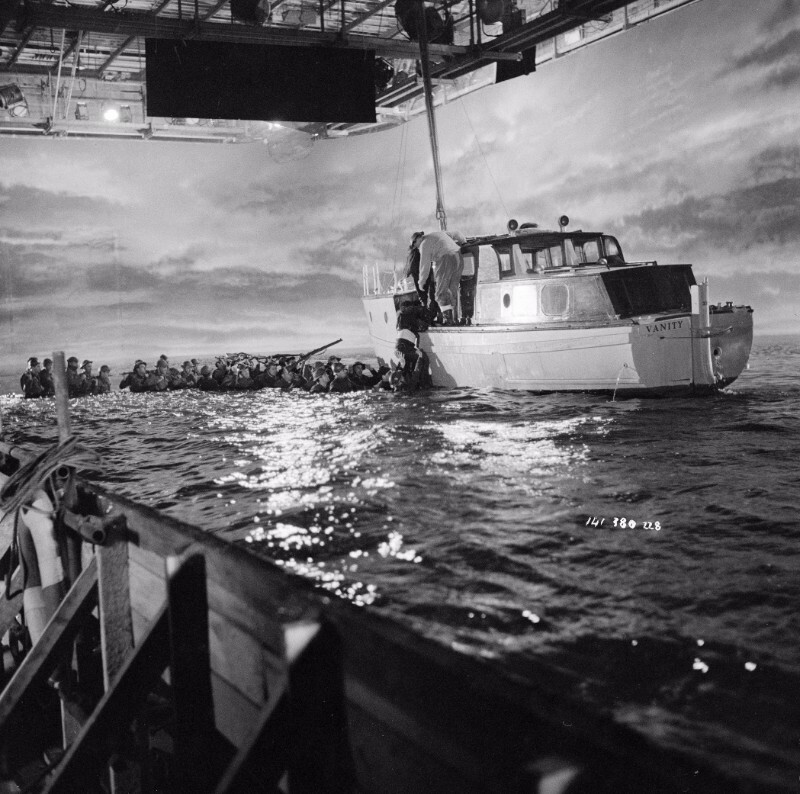 visualising and representing the evacuation was not as effective as ‘spinning’ the story in more indirect ways) but some of the elements of the story did appear in fictionalised wartime narratives, including films made by Ealing Studios such as The Foreman Went to France (1942) and Johnny Frenchman (1945). In the 1950s Ealing did not join the other British producers in creating 1950s ‘heroic’ war films (e.g. The Dam Busters (1955) or Reach For the Sky (1956)). Instead, Ealing opted for more downbeat narratives such as The Cruel Sea (1953) in which one of the most memorable scenes sees Jack Hawkins, commander of a submarine-hunting corvette, risking the lives of torpedoed sailors in an attempt to destroy a U-boat. In The Ship That Died of Shame (1955), like The Cruel Sea from a Nicholas Monsarrat novel, three ex-Roal Navy men buy their wartime motor boat and find themselves sucked into a smuggling racket to service the black market in ‘Austerity Britain’ of the late 1940s. 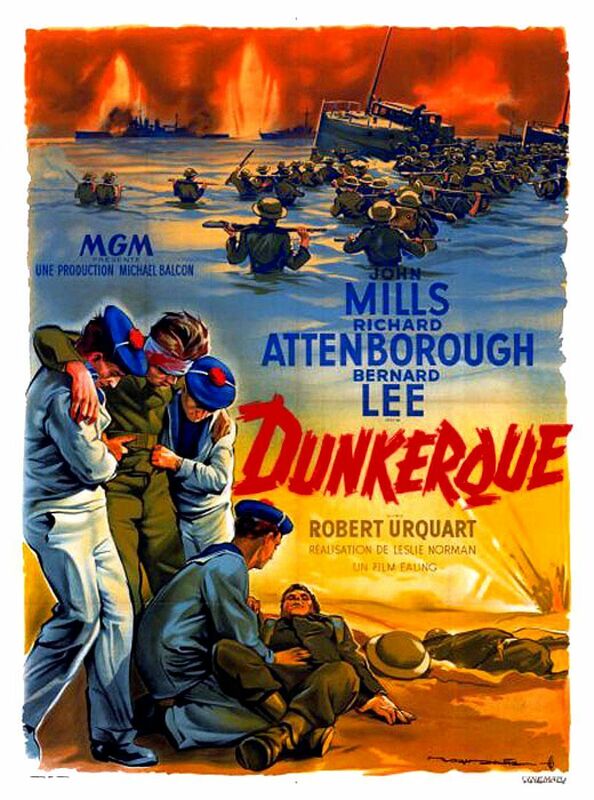 It’s perhaps not surprising then that Ealing’s Dunkirk film was similarly downbeat. 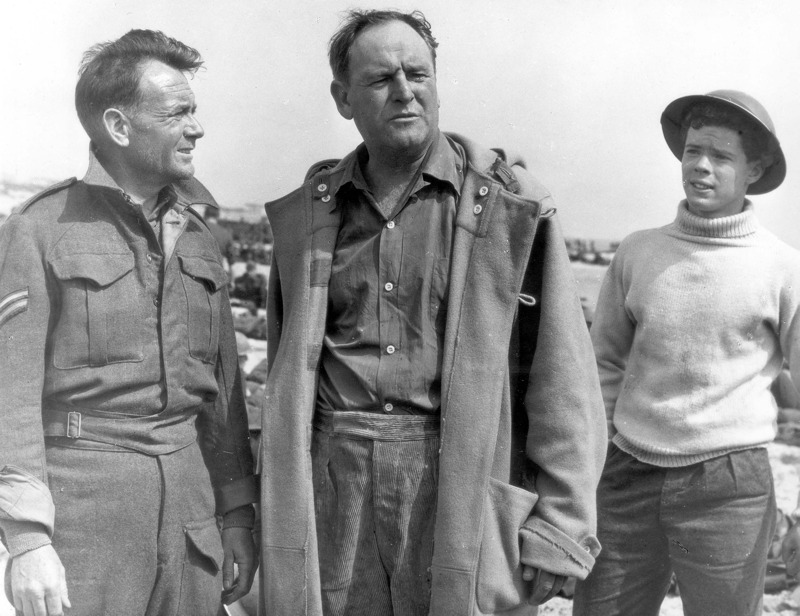 Its director Leslie Norman had been the producer on The Cruel Sea. Despite its commercial success, Dunkirk failed to inspire critics and scholars. Two of the chroniclers of Ealing Studios, Charles Barr and George Perry, are dismissive of the film. Both find it dull. Barr is particularly damning though he seems more concerned with equating its story of a defeat with Ealing’s own demise as a studio. David Quinlan suggests that it is “routinely exciting, but disappointing”. It seems to me that Michael Balcon as Ealing’s hands-on leader had embarked on a nearly impossible task – to make a commercial picture about a defeat and a propaganda ‘miracle’. Dunkirk comes across as ‘realistic’ in its attempts to include as a many different facets of the actual events as possible. 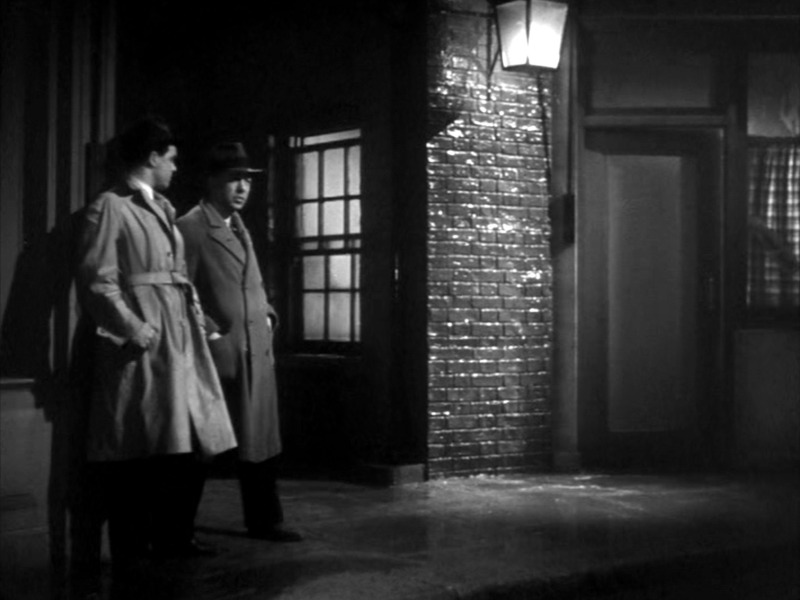 There are attempts to create analysis through the juxtaposition of newsreel footage and scripted dialogue, but mostly the intent seems to have been to represent the events as fully as possible. I suspect its success was mainly with audiences who already knew about the events but who wanted to see them ‘documented’ in this way. In that sense, Balcon was justified. I found the film interesting rather than exciting, but it did make me think about how I might have felt thrust into such a situation. The Bernard Lee character is clearly meant to be the representative of the ‘ordinary’ (middle-class) British man. And it is a very male film – virtually the only women in the film are the boat-owner’s wives. Foreman (Lee) is a journalist, although he never files any copy and we don’t find out who he works for. He clearly has clout as he knows all the foreign correspondents in London and he attends Ministry of Information briefings. It’s through him that we hear the grumbling about the lack of real information about what is happening in France and despair about complacency during the ‘Phoney War’ (the title given to the first seven months of the war before the German invasion of Denmark/Norway and then Holland/Belgium and France). Tubby and his men watch propaganda newsreels in France and in the UK, the women in Holden’s factory listen to Lord Haw-Haw on the wireless. Tubby (presumably a veteran soldier – Mills was nearly 50 at the time) finds the men in his group are sometimes whingeing. Having established this sense of a nation that doesn’t really know what is happening – in the armed forces or on the Home Front – Dunkirk closes with a voiceover that is actually quite balanced. It remembers the dead and the captured soldiers, sailors and civilians left in France and clearly states that it was a defeat, but then asserts that the evacuated men “dazed and resentful” returned to a nation that had learned that it now stood alone but ‘undivided’. The UK was a nation made whole. The very last scene shows a parade ground on which Tubby and his closest mate from Dunkirk are part of a larger squad being drilled by a CSM who warns them that Dunkirk was a defeat and not a victory and they need to work hard (and quickly) to become an effective fighting force. Tubby gives his mate a knowing look. Dunkirk‘s producers were able to use an array of military equipment that was still in working order. The film was made on Camber Sands and in the Port of Rye in East Sussex, on the Thames and at Borehamwood. Even so they needed model shots and stock footage to convey the scope of military action. Christopher Nolan has advanced technologies and a huge budget. He promises something much more immersive but still aims for the personal stories of soldiers, sailors and civilians – and adds an airman. Nolan only has 106 minutes and he has talked about preferring the suspense thriller mode to that of the war film. It sounds like he will be less interested in the mythologising impact of the evacuation. It will be fascinating to see what kinds of meanings his film produces – and what it leaves out – and how audiences respond. Ealing Studios as a brand has become so associated in the public mind with the comedies of the late 1940s and early 1950s that many of its most interesting productions are barely seen or discussed. 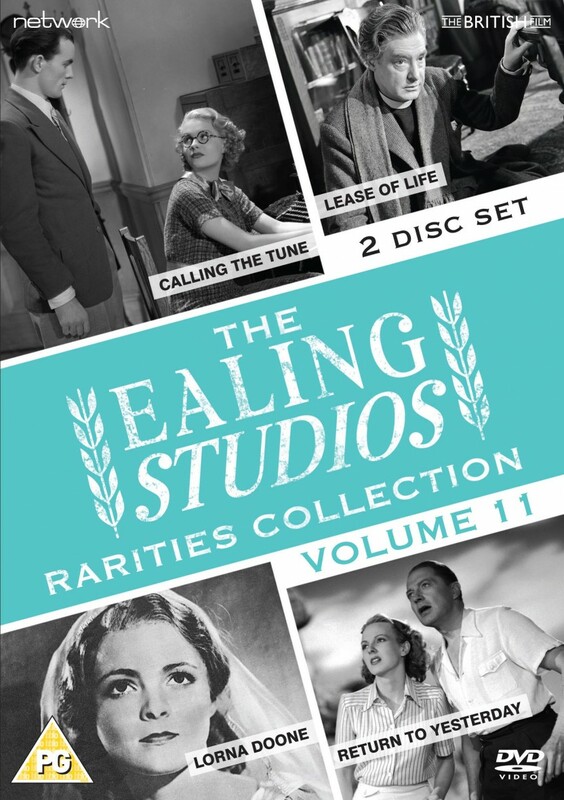 Fortunately, the ‘Ealing Rarities’ collections of DVDs, first published in 2013, have made several titles available for the first time on disc. The series runs to 14 volumes, each of which comprises a 2-disc set with two features on each disc. The four titles are a mix of films from the whole of the period 1930-1959. This makes sense as a way of selling the older titles but punters can benefit too, picking up unknown gems from the 1930s. The volumes were on a limited sales offer this week and I bought three volumes for £4 to £5 each. I was most excited by the prospect of watching Lease for Life from 1954. This drama in Eastman Colour offers the major star Robert Donat in his only Ealing role, supported by a fine cast. With a screenplay by Eric Ambler, direction by Ealing regular Charles Frend and cinematography by Douglas Slocombe it promised to be a fascinating watch – and I wasn’t disappointed. It’s worth emphasising that Donat was arguably the major male romantic star of the 1930s in the UK, a man loved by millions who spurned Hollywood and preferred to work in the UK (sometimes on American-financed films). Because of ill-health (chronic asthma) he made only 21 films and died in 1958 in his early 50s. In Lease of Life he plays a country vicar in the East Riding of Yorkshire. He was only 49 at the time but looks much older, possibly because of make-up and greying hair. He hadn’t made a film for three years and he would make only one more after it, so part of his appearance may be down to his own state of health. The plot involves his character being told that he only has a year to live, but if this makes the film sound grim, Donat’s performance soon alters such a view. He’s magnificent. The plot is very simple (so I don’t think I’m spoiling the narrative pleasure by outlining it in some detail). Ambler gives the vicar (Rev. William Thorne) two problems to worry about (and then lands him with the news that he is going to die in about a year’s time). 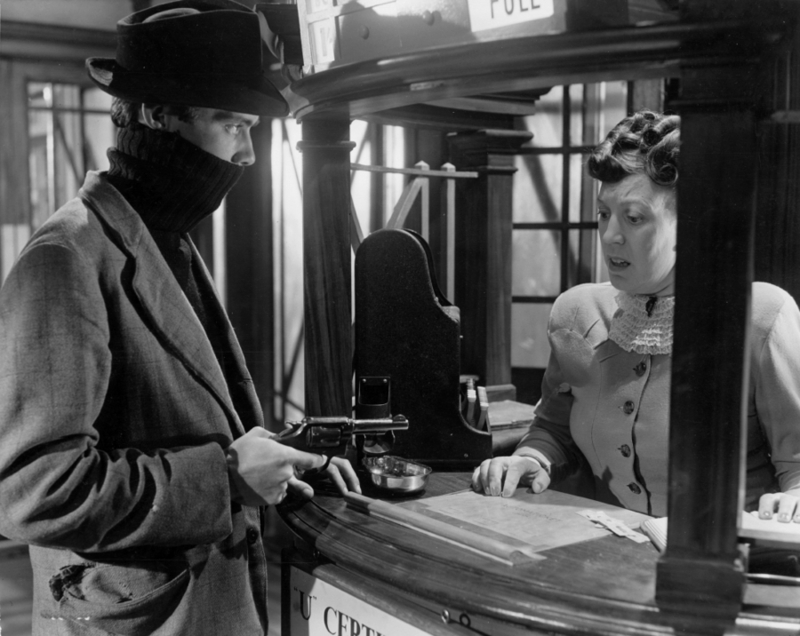 First he is asked by a dying parishioner to be his executor and to keep the will and a sizeable sum of money away from the man’s younger wife (Ealing regular Vida Hope) – the money is to go to the man’s son, still missing after the war. Reluctantly, the vicar agrees, knowing it is his duty to do so. He’s a kindly but not very inspiring vicar and he hasn’t saved any money. 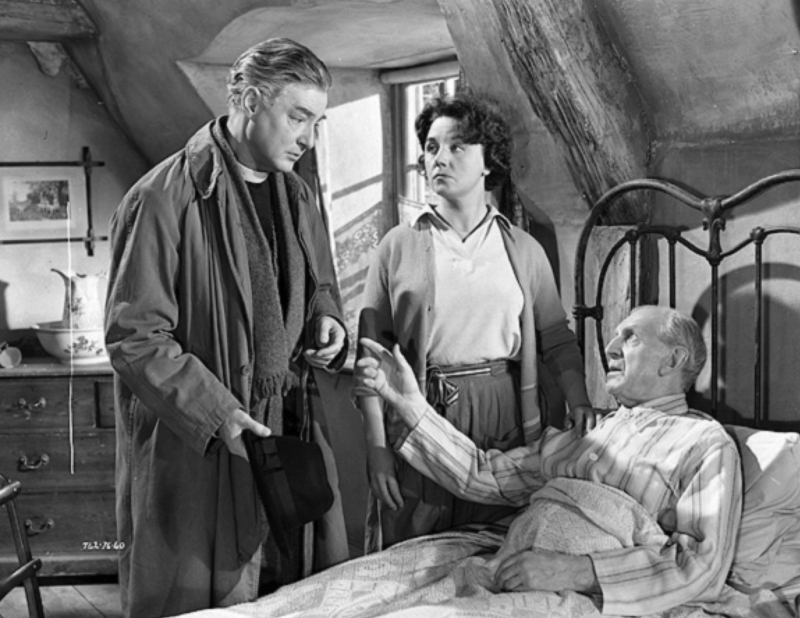 His second problem is that his talented daughter Susan (the fabulous Adrienne Corri who so graces Jean Renoir’s The River, 1950) wants to go to a music school in London, but he can’t afford to support her. 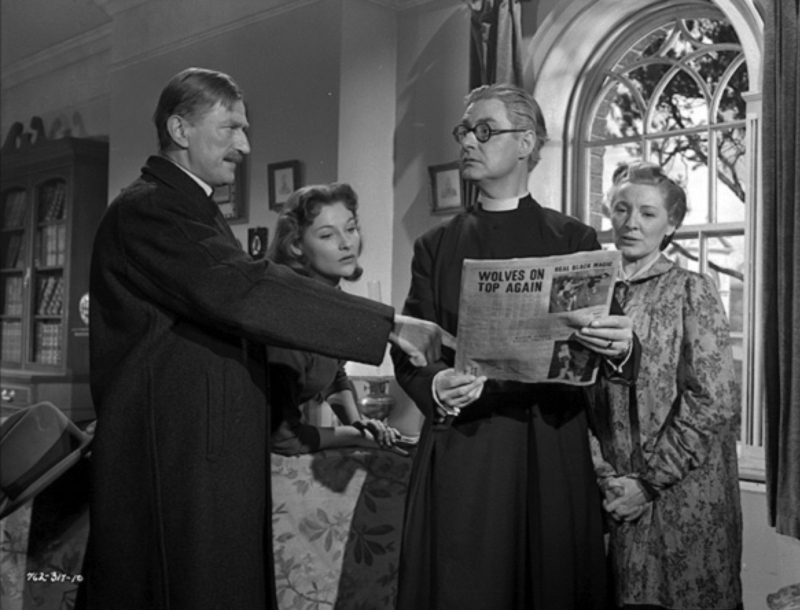 A possible solution to his worries is that the local public school wants a new chaplain and the Dean of the cathedral in ‘Gilchester’ suggests Thorne. Thorne himself doesn’t realise why he has been invited to give the sermon at the school’s Founder’s Day service (but his wife Vera (Kay Walsh) realises that it is a kind of test of suitability). The chaplaincy would be a considerable step up in terms of income. The sermon comes halfway through the film and Thorne, in a moment of inspiration, tears up his prepared sermon and delivers an impassioned call to the boys to live their lives without the fear of breaking rules and to simply go out and fulfil themselves in finding God in life. Thorne is ‘re-born’, he has a new ‘lease of life’. The school’s headmaster is not enthusiastic about Thorne’s reference to a ‘Headmaster God’ as the wrong concept of religion for boys to have. In the final third of the film the two problems prove difficult for Thorne to resolve in a satisfactory way and Ambler complicates things to create a climax. What is important too is that both June and Vera become active in their own right rather than just supporting Thorne. The other main character is June’s music teacher, the young organist at the cathedral, handsome (and quite cruel) as played by Denholm Elliott. The main attraction of the film is Robert Donat’s performance. In the pulpit delivering his sermon to the school he is transformed and energised but it is his voice and trademark delivery that stands out. I think mellifluous is the adjective often used to describe Donat’s voice. Here it sounds both soft and melodious, but also strong – and a big change from the character’s usually mild demeanour. So, in narrative terms it works to give the vicar in ailing health the energy to continue and to overcome the obstacles that lie before him. One interesting aspect of the film is the media interest generated by the sermon which gets everybody talking. In the early 1950s Ealing made films satirising the rise of television and, like this one, using the media as agencies in moral debates. 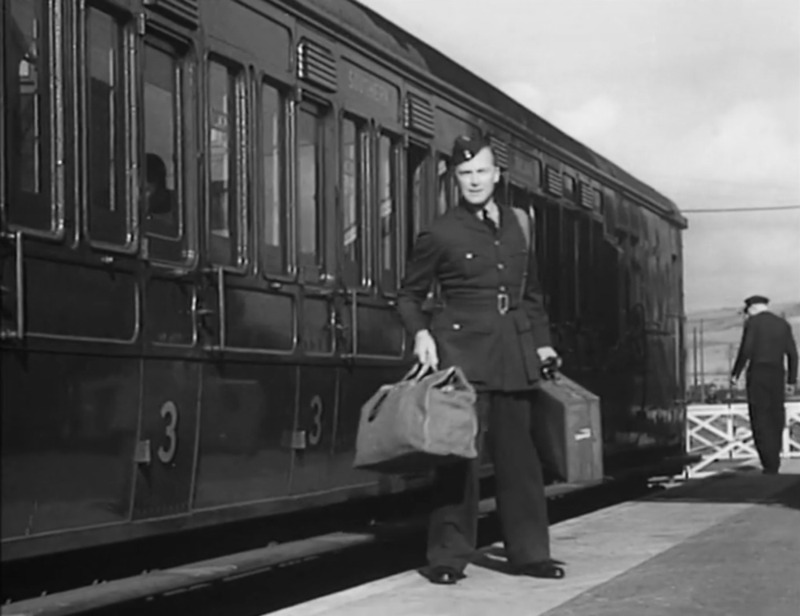 The other interesting aspect of the film is the use of location shooting to create ‘authenticity’ of setting and a feature of many Ealing films during and after the war. 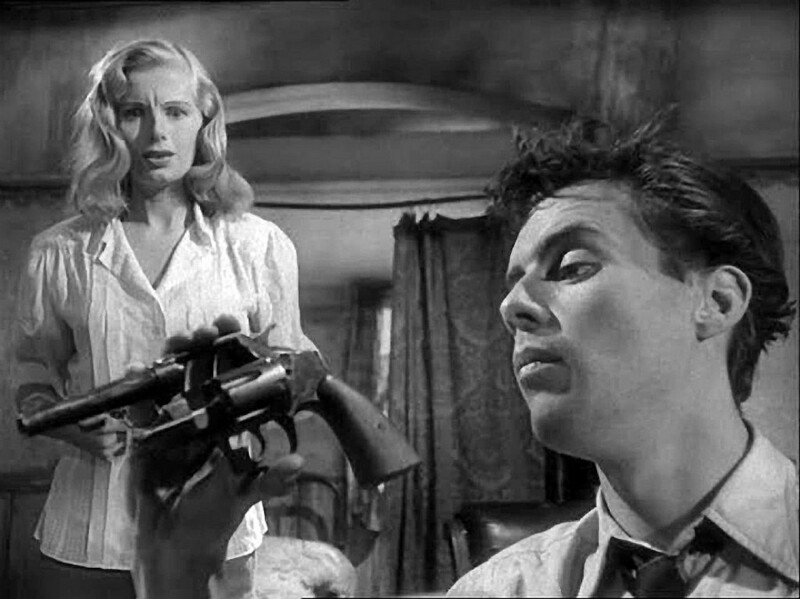 I was reminded of The Loves of Joanna Godden (1947), also directed by Charles Frend and set on the Romney Marshes. That was a black and white film and here the same cinematographer creates a rural landscape using Eastman Colour. The shoot was located in what was then the East Riding of Yorkshire with Beverley’s Minster standing in for the cathedral (Wikipedia suggests that the Minster is larger than many English cathedrals) and the village of Lund a few miles away acting as the vicar’s parish. The film is a transport enthusiast’s treat with footage of the town centre including the specially adapted buses needed to pass beneath the 15th century ‘Bar gate’. Railway scenes were filmed at Eton and Windsor and there is a scene featuring Susan’s arrival in London in a train hauled by Britannia Pacific 70020, only built in 1951 as a BR standard locomotive. Overall the Eastman Colour on the Network DVD is OK, but I did wonder about the make-up and how it appears in HD on a TV set. The DVD set includes a slide gallery (see the images above with a lobby card and publicity stills). It also includes a Press Book from the period and I would recommend this for any student of British cinema history. The Press Book includes the kinds of ads to appear in local newspaper display listings as well as competitions and other ways of attracting audiences. It also features interviews and articles on the stars. 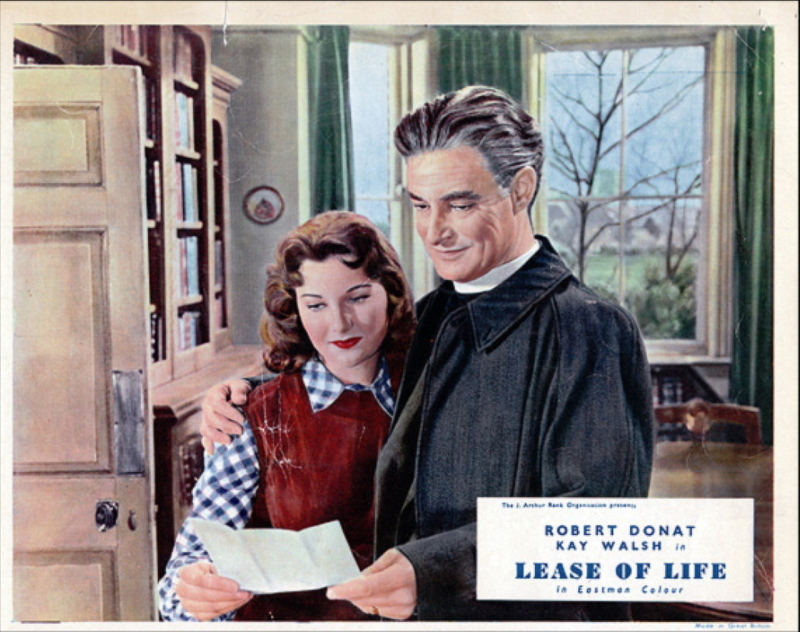 The piece on Kay Walsh is interesting, pointing out how this ‘glamorous star’ of 1930s and 1940s cinema was prepared to be made-up as the older and ‘dowdy’ vicar’s wife in order to play opposite Robert Donat. There is also coverage of the outfits worn by Adrienne Corri, an important ‘tie-in’ feature for films of the period. I’m pleased to have been able to view this film and I’m looking forward to exploring more of the Ealing back catalogue in the Network DVDs.